Make sure it works ! The shield have a FTDI port. It can be use to reflash the TD without using the PI. As the Serial port is shared with the raspberry PI, you must use it not connected. In this cas you will have to provide +3.3V to the circuit. For this reason to reprogram the chip it is better to do it from the RaspberryPI, see later. The HAT Flash WR Protect is a jumper you can put if you need to reflash the serial prom used to save the board description. You should not do it but the shield is subject to serial prom upgrade – documentation will be provided when needed. The customization Area allows you to extend the shield by adding some component or an extension card. They are not connected to anything. But in from of it you have the main TD120X signals exported. Copyright (c) 2012-2013 Telecom Design S.A. Serial port /dev/ttyAMA0 opened at speed 115200. 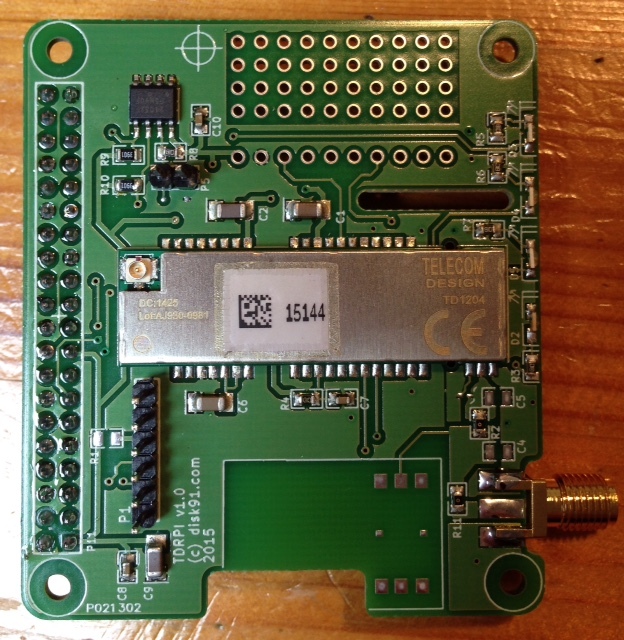 This entry was posted in Non classé, Sigfox and tagged IoT, raspberry pi, RF, SigFox. Bookmark the permalink. Serait il possible de savoir la demarche revue au gout du jour? 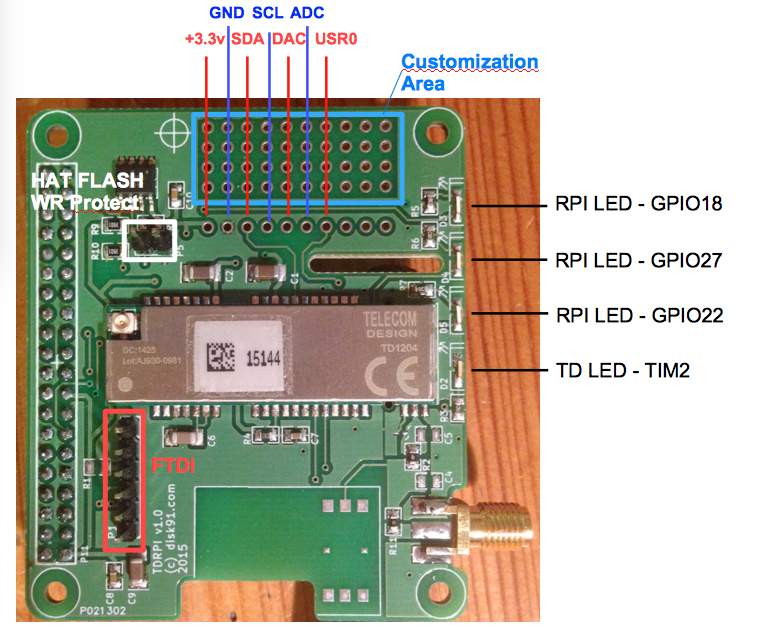 You should take a look on how to access UART on a raspberry Pi based on last Jessie version. Google may help you. I’ll take a look soon but I assume you have some key to add to kernel/boot config file to manage this.